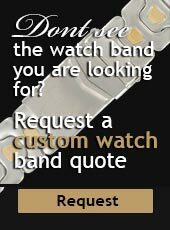 This gift is a classic. 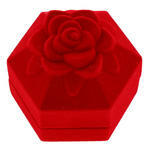 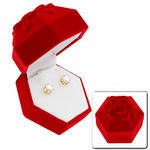 Beautifully gift boxed in a red flocked octagon rose box, perfect for any occasion. 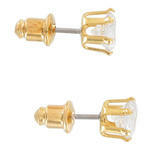 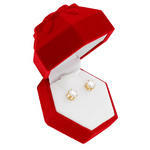 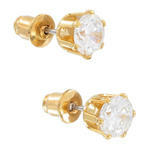 These round genuine cubic zirconia earrings are set in a gold finish setting.